Wycinanki is the traditional Polish art of paper cutting. During the 1800s, peasants would create intricate designs, which often featured roosters, on colored paper. The designs were then cut out and used to decorate white walls. Wycinanki was also used to make festive decorations for holidays such as Christmas. Think paper snowflakes. To make wycinanki, have children fold a piece of white paper in half and draw a symmetrical picture on one side. Cut out the picture using scissors; younger children may need assistance. Glue the paper cutout on top of a sheet of colored paper or place in a floating picture frame to display. 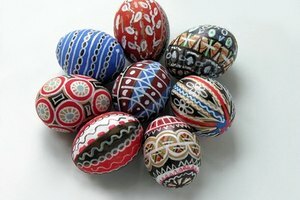 Pisanki are a traditional Polish craft that is very popular around Easter. Pisanki are eggs are decorated with images of flowers, lambs, religious symbols and Easter blessing using a special type of wax. Update ordinary dyed Easter eggs with a simpler, kid-friendly, version of the craft. Hard boil eggs and let them cool for a few hours. 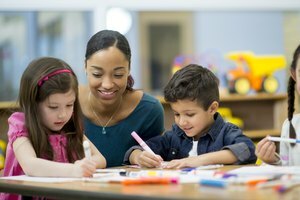 Give each child a white crayon to draw on his or her egg. While the children are drawing, mix some dye solution. Dip the eggs in dye to reveal the designs. For multicolored eggs, dye with one color, then draw on the egg with a clear wax crayon and dip in a different color. 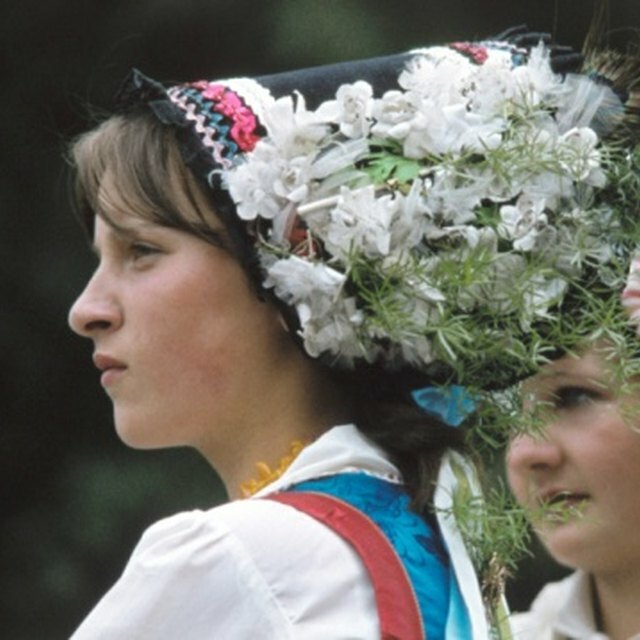 Stars are a prominent motif in Polish folk art, and often are incorporated into Christmas decorations. Use paper-cutting techniques learned in the wycinanki project to craft intricate stars with your children. To begin, cut a sheet of white paper into a square. Fold the the paper in half and then in half again. Next, fold the paper so that the corners meet, forming a triangle. Cut off the point at the top of the triangle. Draw a symmetrical design on the triangle and cut out. Unfold the paper to reveal a shining star. You may notice that this looks very similar to a paper snowflake, but it has eight points rather than six. Leigh, Jessica. "Polish Crafts for Children." 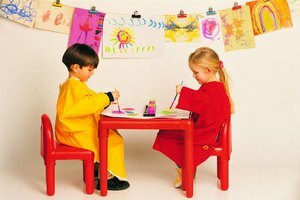 Synonym, https://classroom.synonym.com/polish-crafts-for-children-12081079.html. 29 September 2017.